Tony Warner Giving His Classification Talk. Tony was born in Spokane then moved to Everett. His father worked at Boeing for the first four years of his life. Tony has a younger sister. In the early 70s his father was laid off and they moved to Riverside, CA. Lived there for 8 years. Tony grew up an Angels fan. His parents divorced. Tony played baseball growing up. Tony’s mom was a K9 handler police officer. The police force helped raise Tony. His mother was injured and it ended her career. His father went to law school and worked for a law firm. He remarried and opened his own law firm. Then he became a superior court judge in California. Tony attended Redlands High School and then went into the military. He was stationed at Fort Hood Texas and then Germany. He got out of the military and hurt himself working at a lumber yard. He tried to get on with the police department but couldn’t due to injuries. He moved back to WA and attended Everett Community College. There he met his first wife. Tony adopted her son, Taylor, and together they had a daughter Jersey. He worked his way up the rental car business. Then he started selling cars. The marriage ended in a divorce and his ex-wife moved with the children to North Carolina. Tony then met his current wife Cristie. Tony went on a vacation with his father travelling to different baseball games around the east coast and to the baseball hall of fame in Cooperstown. Tony Graduated with Honors from Western Washington University in 1998. His son, Taylor, came to live with Tony and his wife in 2004 and graduated with honors from Stanwood High School in 2008. Tony’s daughter, Jersey graduated with honors from Stanwood High School in 2011. Tony began doing mortgages and in 2005 he moved into banking at Washington Mutual. Since he has worked for Coastal Community Bank and Sterling Bank. After Umpqua took over Sterling, he moved to Opus, and then Skagit Bank. Recently Skagit Bank merged with Banner Bank. Tony is the manager at the Arlington Branch. Tony lives on Camano Island, above Utsalady. He has two grandsons, is a baseball fanatic, and has two dogs. He was at the game Felix Hernandez pitched a perfect game. He has collected a lot of sports memorabilia. 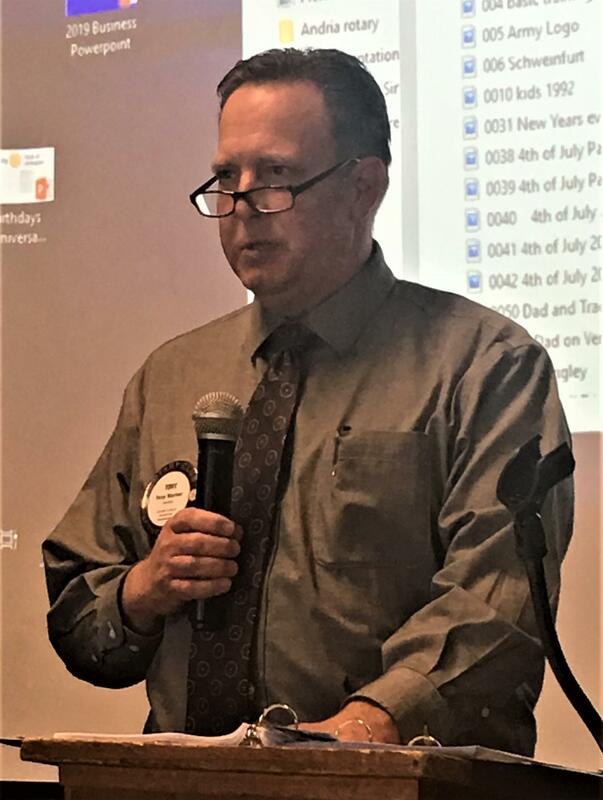 In July of 2017, Tony became a member of our Rotary Club.